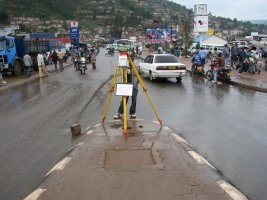 The International Federation of Surveyors (FIG) Commission 5 is responsible for assisting practising surveyors in FIG member associations to apply Positioning and Measurement technologies efficiently and effectively in their day-to-day survey activities. One of the most significant technologies to emerge in recent decades has been Global Navigation Satellite Systems (GNSS). 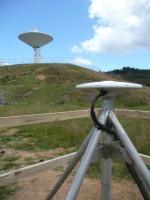 The rise of such a global technology has highlighted the need for countries to move from locally defined geodetic datums to more global datums based on the International Terrestrial Reference Frame. This FIG publication is a response by Commission 5 to this trend by bringing together a series of fact sheets to better inform surveyors about some of the key issues they need to consider as they realign and upgrade their professional knowledgebase. During my time in Commission 5 as a Working Group Chair and then as Commission Chair, we placed special emphasis on improving the availability of factual and accessible information about reference frame matters, especially for surveyors and decision makers in developing countries. That work was extended and improved by the Chairs of Commission 5 who followed me, Rudolf Staiger and Mikael Lilje. 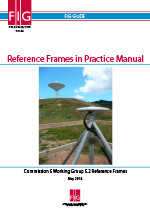 A special feature of the Commission’s work in recent years was a series of workshops on reference frame matters that were attached to FIG and allied events in developing countries. FIG would like to acknowledge the partnership under our MoU with the UN Office for Outer Space Affairs, which saw the UN Office fund developing country delegates to attend several of the international workshops that form the basis of this publication. That interaction was very important in identifying the specific topics that this publication should cover and help surveyors to better understand. An extremely important aspect of this publication is as a concrete demonstration of the value of the increased cooperation in recent years between FIG and its sister association, the International Association of Geodesy (IAG). The international workshops and resulting fact sheets have seen a very close collaboration between internationally recognised experts from both FIG and IAG and it is hoped that such collaboration will continue to grow and deepen in the future. FIG would like to especially acknowledge the role played by IAG President Chris Rizos as a driving force behind IAG’s commitment to our increased cooperation. In closing FIG and its Member Associations are very grateful to the experts from both FIG and IAG who generously volunteered their time and effort to support the international workshops and especially to those who went on to author the fact sheets that make up this important publication. Special mention goes to Commission 5 Vice-Chair Graeme Blick, who coordinated the development of this publication under the leadership of Commission Chair Mikael Lilje and with the very able administration of Commission Vice-Chair Rob Sarib. International Federation of Surveyors, FIG, is a United Nations and World Bank recognized non-governmental organization of national member associations and covers the whole range of professional fields within the global surveying community. It provides an international forum for discussion and development aiming to promote professional practice and standards.